April Ottey is an artist living in the Northwest. Her studio is a stones throw from the Columbia River where she creates contemporary jewelry inspired by the natural world. Her close up inspection of various stages of birth, growth, death and decay in forests, rivers and beaches has shaped who she is as an artist. 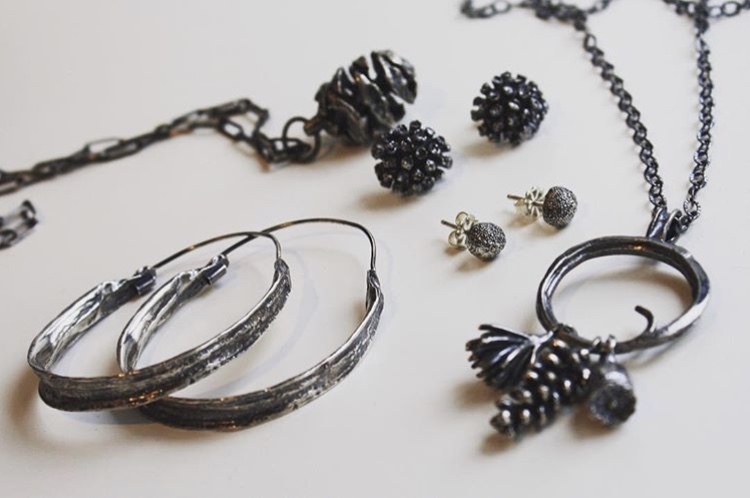 She casts, fabricates and incorporates the textures and intricate shapes found in nature to create contemporary jewelry that places nature into a new context. April has taken several classes at Danaca Design to further her metalsmithing skills.